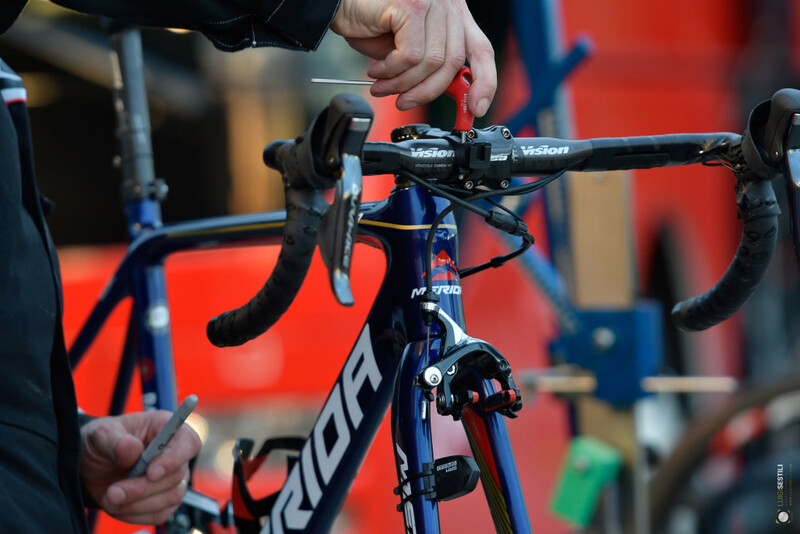 As we head into this year’s Grand Tours, we can’t help thinking about how the pro riders tackle their races, and the equipment that helps them rise to the challenge. The 2015 Vuelta will be remembered for one thing: Fabio Aru, who now uses Vision’s range of wheels and bars, unleashing attack after attack until finally, on the penultimate mountain stage, the giant of Italian cycling broke Tom Dumoulin to win his first Grand Tour title. It was a truly memorable effort and one that took planning, especially when it came to equipment choice. Aru and his team, Astana, like every single recreational rider, had to answer the question that can make or break a mountainous stage: do you choose aero rims, like Vision’s Metron 55SLs, or shallower rims, like the Team 35s? 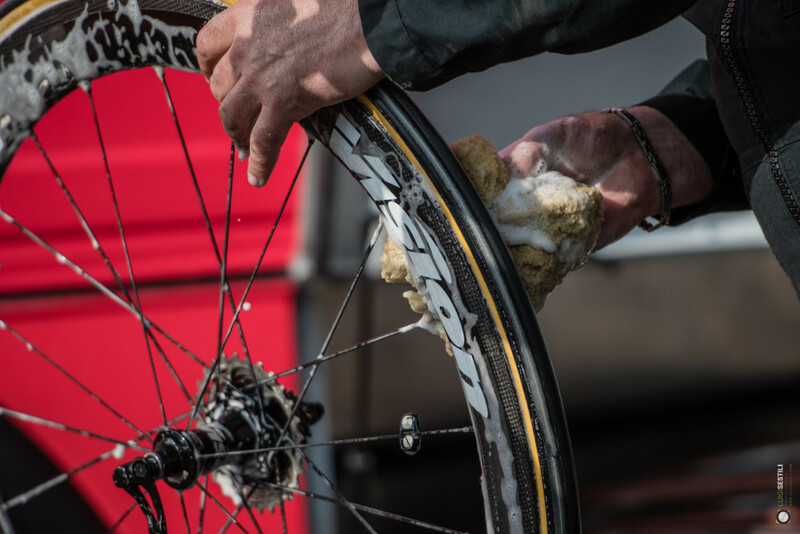 Many of our teams will be running Metron 55s in this year’s Grand Tours – and keeping them clean! Scan the web and you’ll come across reams of opinion and anecdotes on wheel selection when climbing. That’s all good but here at Vision we’ll focus on the science. Let’s say a cyclist rides 10km flat followed by 10km uphill. Now let’s say that the more aerodynamic wheel gives you a 1% increase in speed over the shallower rims on the flat but, due to the slightly extra weight that traditionally comes with a deeper rim, a similar decrease in speed uphill. Then the simple answer is that shallower rims are your best bet because you’ll spend more time on the ascents and so will save more time there. However, that’s to ignore the aero gains made when descending. In fact, there’s an old cyclist adage that aero gains trump weight gains up to around a 5% slope for an average recreational rider and an 8% slope for a WorldTour rider. So if you’re Cannondale-Drapac’s Vision-sponsored rider Davide Formolo and you’re facing the Col de la Ramaz, a 13.9km ascent that averages 7.1% and regularly pops up on the Tour de France parcours, deep rims are the order of the day. If you’re a real recreational rider, science says, go shallow. Maybe not. Look at it another way. 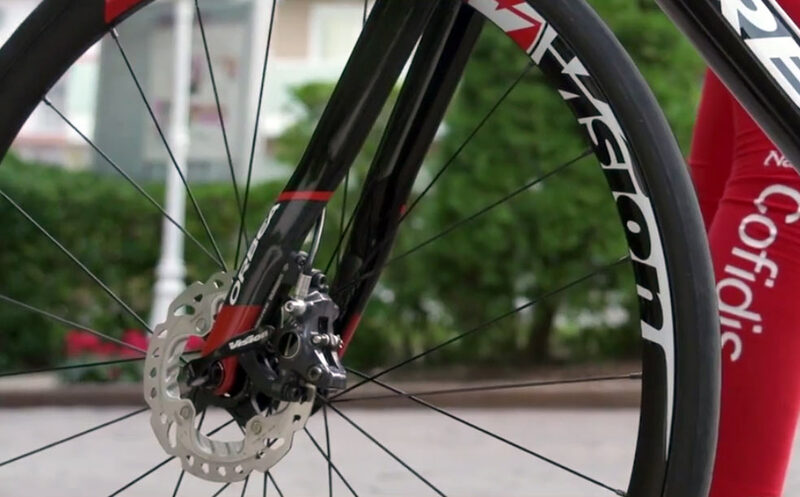 When riding an hour at 32kph, the difference between shallow rims and the average deep-sections could be worth around 10 watts or 30 seconds. Let’s assume the weight penalty is 0.5kg. Even on a tough gradient of 10%, the cost for the same rider is under 5 watts. As a rule of thumb, a course would have to be well over 50% tough climbing with some significant weight penalty before it could make sense to ditch the aero upgrade. As you can see, there’s much up for debate when it comes to aero vs shallow, and is why having both sets is a worthwhile choice depending on the course route, hills and your average speed. What’s of less debate is that the Vision Metron SB20 seatpost will benefit you when climbing because it has 20mm of setback. Why is this important, you might ask? Because for most riders, sliding back on the saddle is more efficient when ascending because you gain a leverage advantage on the pedals. In fact, the only time you really want to slide forward is for a short sprint on a small rise. As for hand position, seated climbers prefer to keep their hands on top of the bars, around 5-8cm from the center stem. This helps to open up the angles of the upper body – and, in turn, the diaphragm – so you can breathe easier and power up the climbs. A bar like Vision’s Metron 4D Compact is ideal here.